Over the past two and a half years, I've auditioned and reviewed a number of digital audio products. It has been a fascinating experience both to watch digital playback technology evolve and to listen to the results of various design philosophies. The road to more musical digital audio has been a slow and steady climb, with occasional jumps forward made possible by new techniques and technologies. Making this odyssey even more interesting (and confounding), digital processors seem to offer varying interpretations of the music rather than striving toward a common ideal of presenting what's on the disc without editorial interjection. Now that Sony has bought CBS's records division, and the infamous Copycode bill seems to be dying in Congress, the way may be clearing at last for the US introduction of the new Digital Audio Tape system. This has sparked renewed speculation in the industry about the impact DAT will have on existing formats, particularly the fledgling CD. Some are convinced DAT will kill CD, because of its ability to record as well as play digital recordings. Others believe DAT won't even gain a foothold in the market, for the same reason quadraphonic sound laid an egg back in the '70s: The public can't handle more than one "standard" format. I feel that both views are wrong, and thatas is usually the case with extreme viewsthe truth lies in between. I believe DAT will catch on in the marketplace, but never in a big way, and certainly not the way CD has. Here's why. There is something refreshingly no-nonsense about the design and construction of this turntable. It looks as if someone just said, Okay, this, that, and the other thing need to be done. Let's do it. And then they did it. In appearance at least, it is about as simple a design as you're likely to find. What sets it apart from other simple designs is that this one is built like a battleship! Everything is heavy-duty (notto mention heavy), from the 10-lb, lead-laminated aluminum platter to the ¼"steel-reinforced subchassis. The SOTA Sapphire was the first, and the most successful in terms of sales, of the new generation of high-end American turntables. 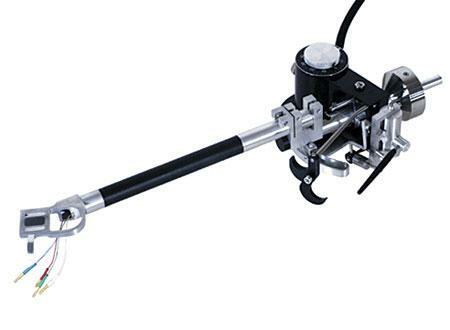 As such, the SOTA can be viewed as leading this country's resurge ence of interest in high-quality turntable production. 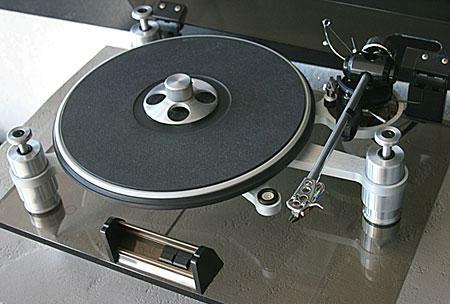 At the time of the SOTA's introduction in 1981, it was the only high-end turntable manufactured in the US. 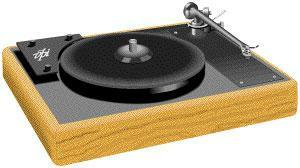 Since then American-made turntables have appeared from the likes of AR, Mapleknoll, Sonographe, and VPI. Among British turntables, there is the Rega Planar 3, which sells here for $550 (approximately double the UK price). I've owned a Rega for three years and know it well. The Oracle Delphi Mk.II ($1250) is both a turntable and work of art. It is a visually stunning product, retaining a level of styling that, in my view, has never been equalled by any other audio component. It also adds enough sonic improvements to the original Delphi that it ranks close to the VPI HW-19, and is superior, in naturalness of sound quality, to the SOTA Star Sapphire. Loudspeaker designers are dreamers. Something takes hold of a manthe fact that loudspeaker designers are all men must be significantand he wrestles with recalcitrant wood, arcane drive-units, and sundry coils, capacitors, and cables, to produce something which will be individual in its sound quality yet inherently more true to the original sound. An impossible task. Yet if there were to be an aristocratic subset of those dreamers, it would be those who have taken upon themselves the burden of producing electrostatic loudspeakers. For these farsighted engineers, there is no standing on the shoulders of others, there is no recourse to tried and tested combinations of other manufacturers' drive-units. Every aspect of the design, no matter how apparently insignificant, has to be created afresh from first principles. For a new electrostatic design to produce a sound at all represents a great triumph for its progenitor, let alone having it sound musical. And to produce an electrostatic loudspeaker that is also possessed of great visual beauty is indeed a bonus. 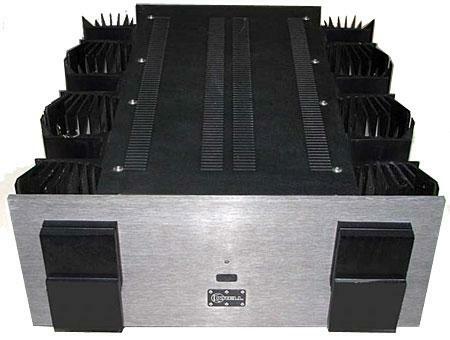 I still have fond memories of my first Krell amplifier, a KSA-50. Back in those days (date purposely omitted), my principal source of audio equipment reviews, aside from Stereophile and The Absolute Sound, was Hi-Fi News & Record Review, which I read voraciously from cover to cover every month. One fateful day while sitting by our community swimming pool, I happened upon an enlightening review of the KSA-50 written by none other than our own John Atkinson, editor of HFN/RR at the time. His words describing "the steamroller-like inevitability of the bass with this amplifier" haunted me for weeks, until I got up the nerve to audition, and ultimately purchase, my first Krell product.